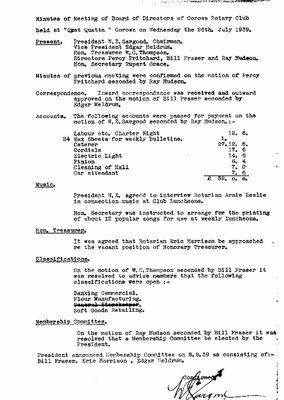 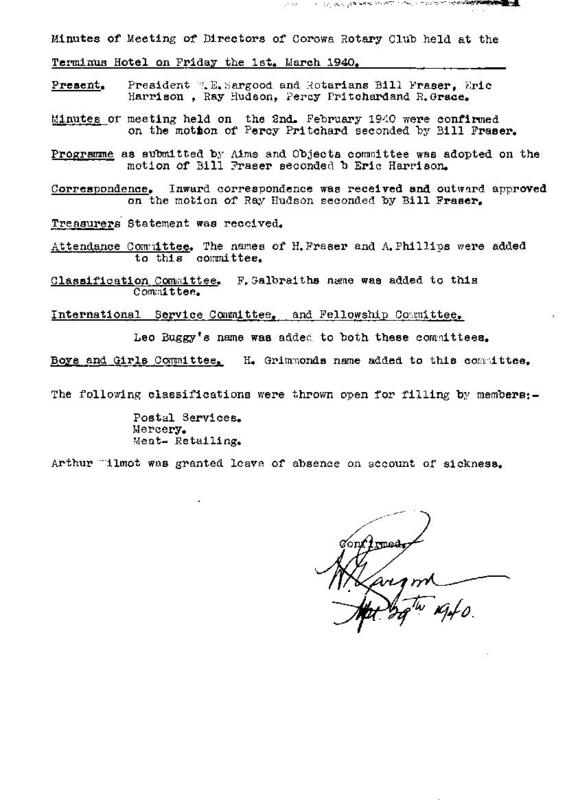 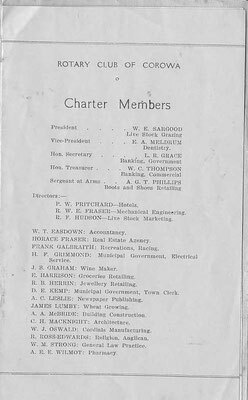 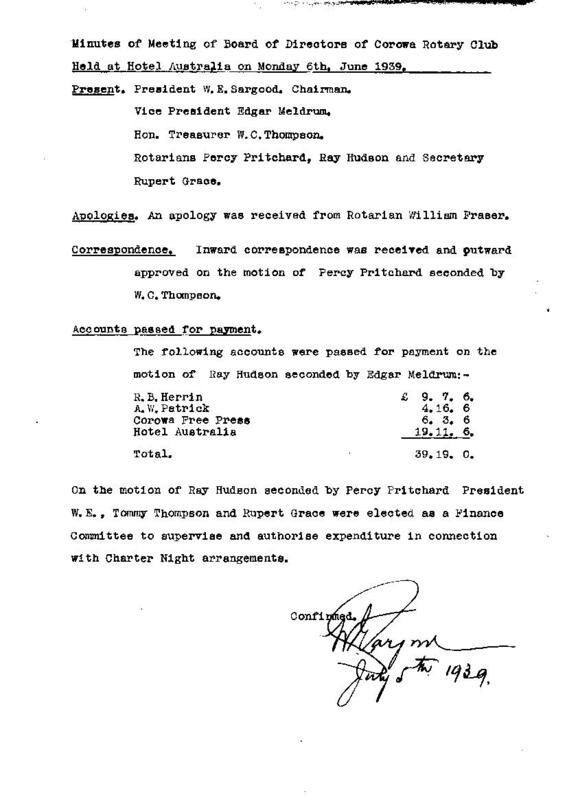 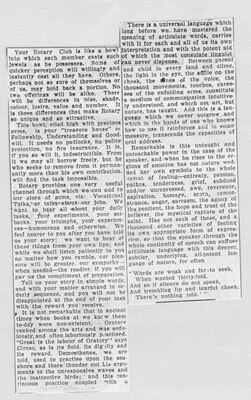 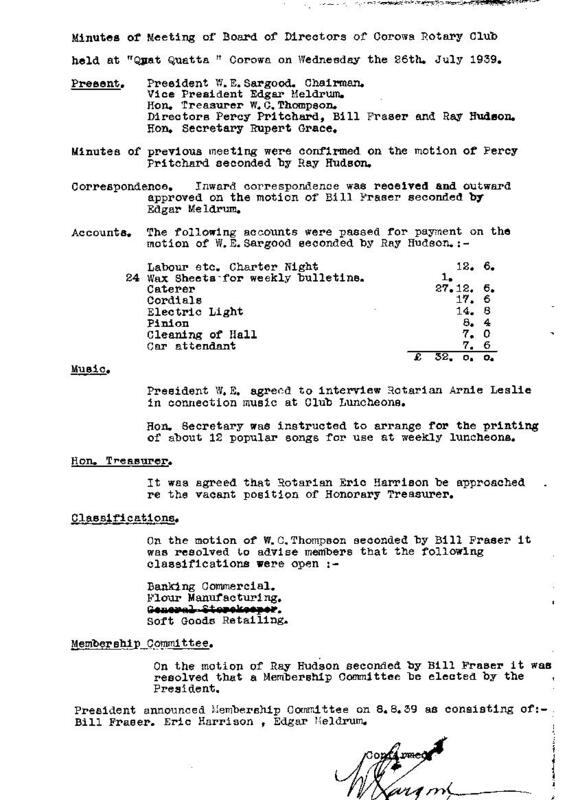 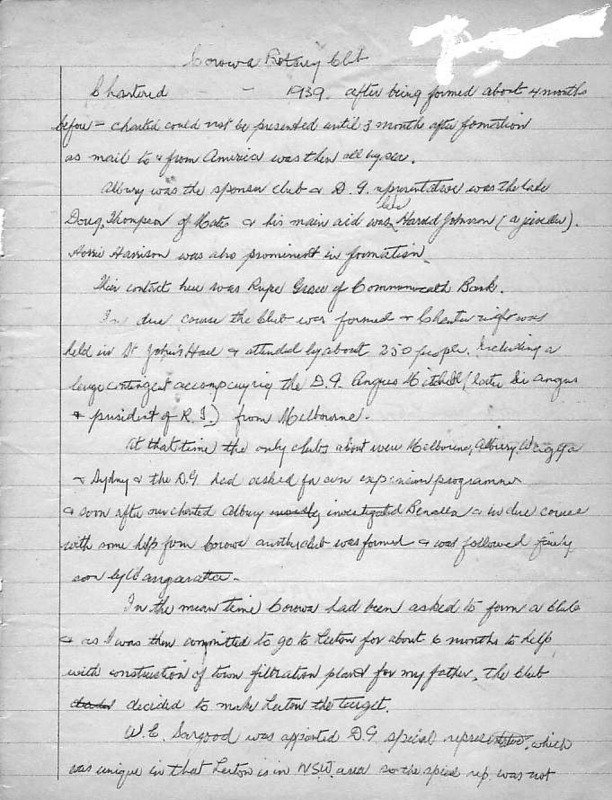 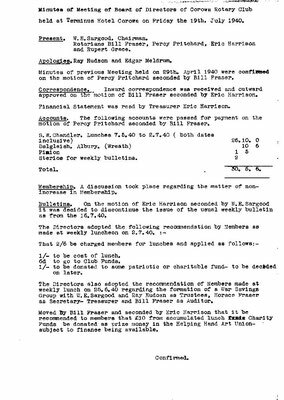 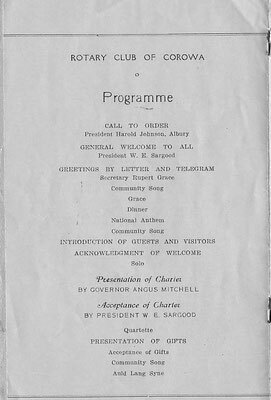 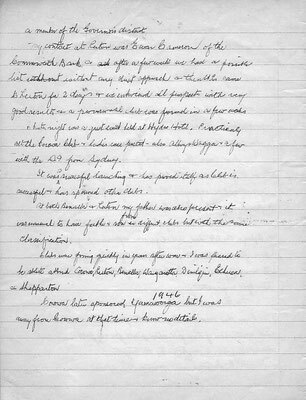 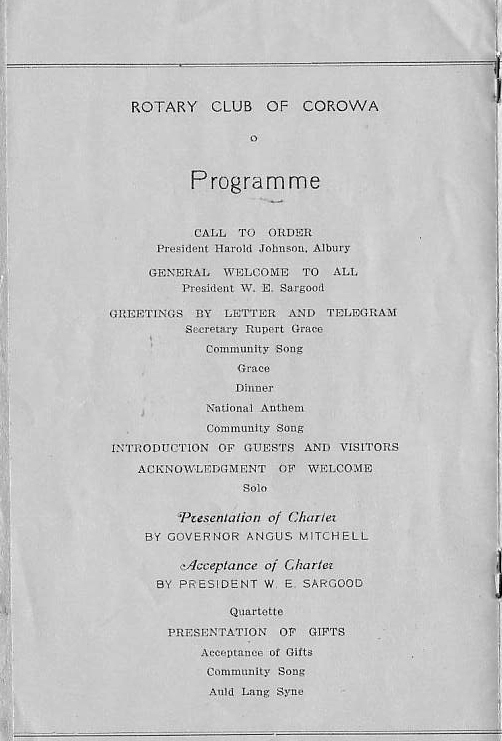 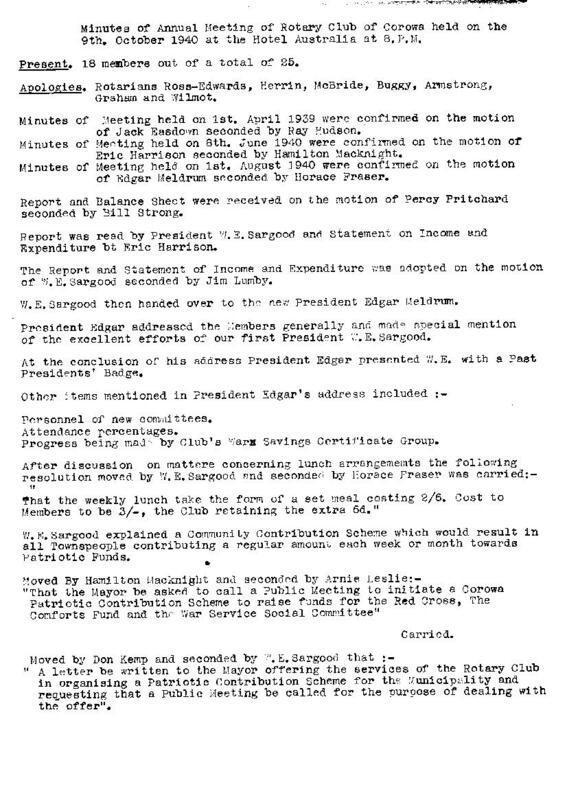 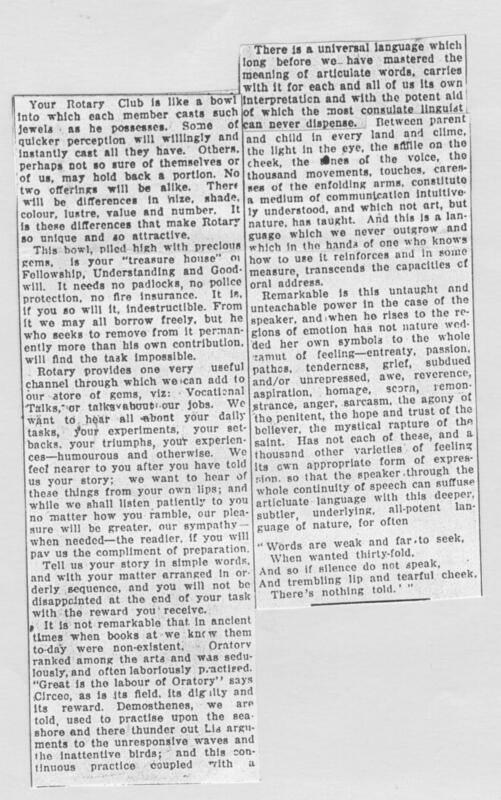 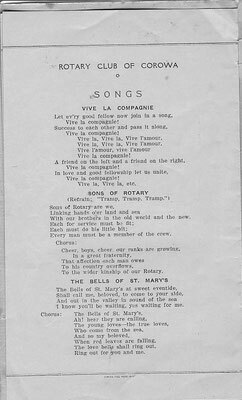 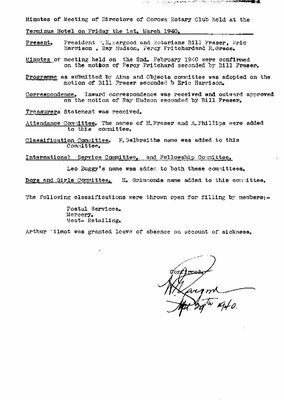 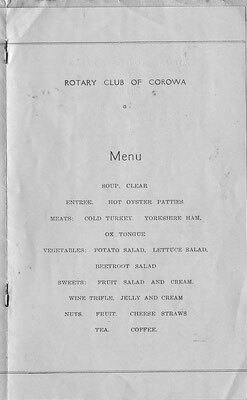 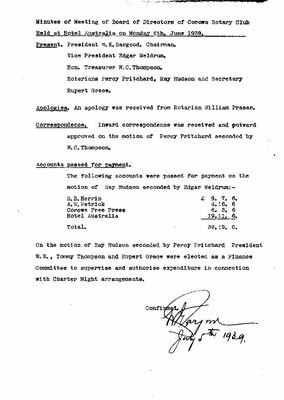 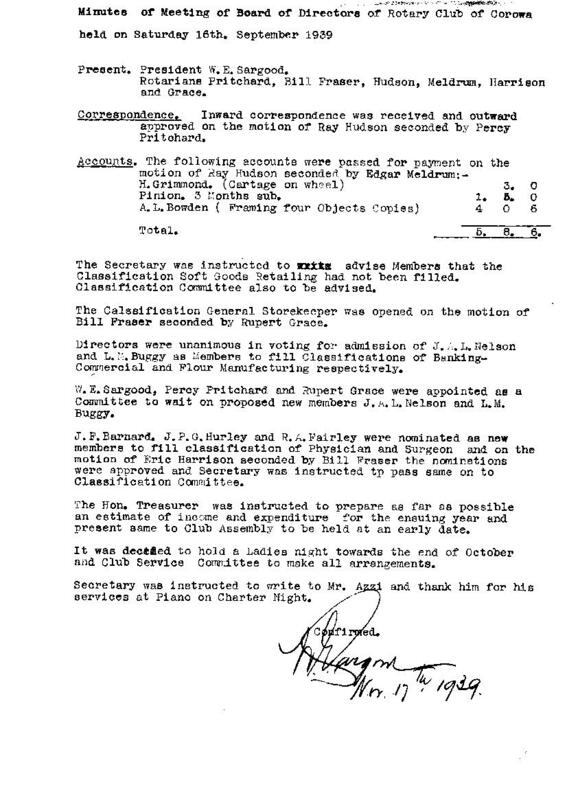 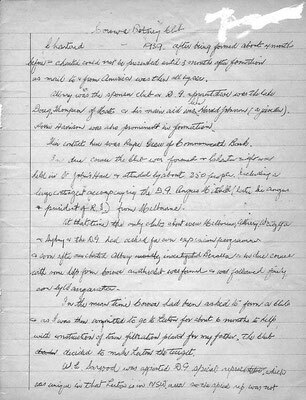 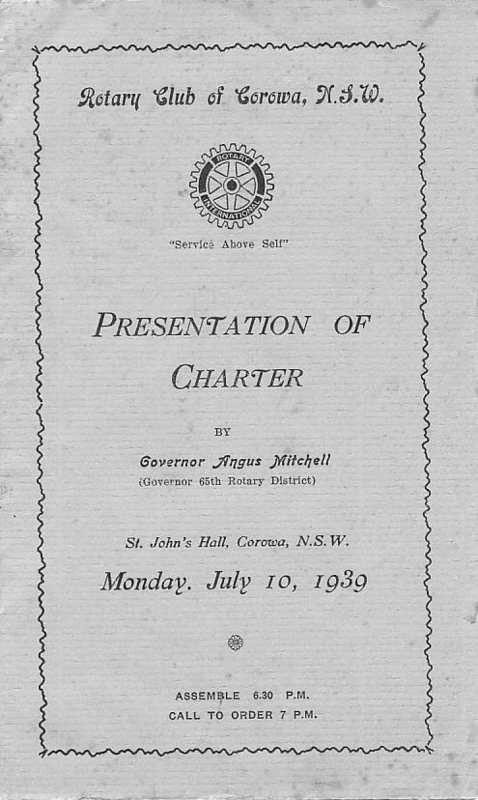 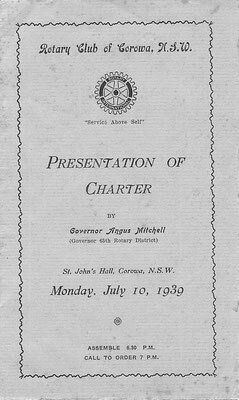 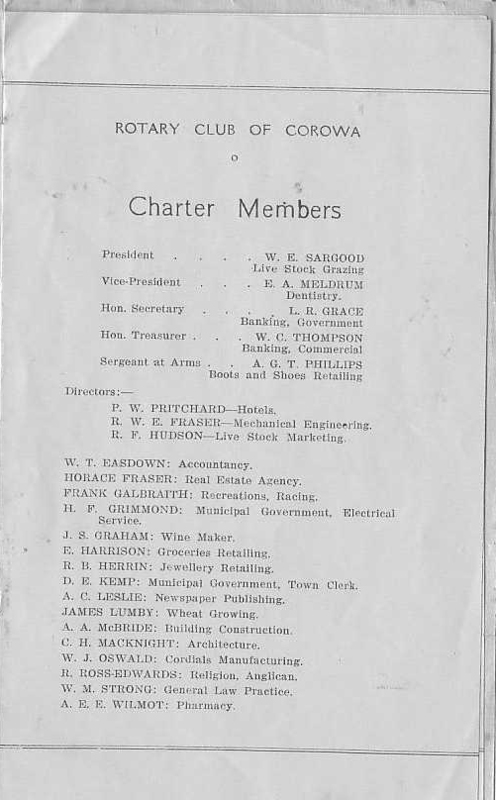 What follows are the scanned copies of the original Charter Program, meeting minutes leading up to being chartered and throughout the clubs first years as well as copies of newspaper articles that appeared at the time. 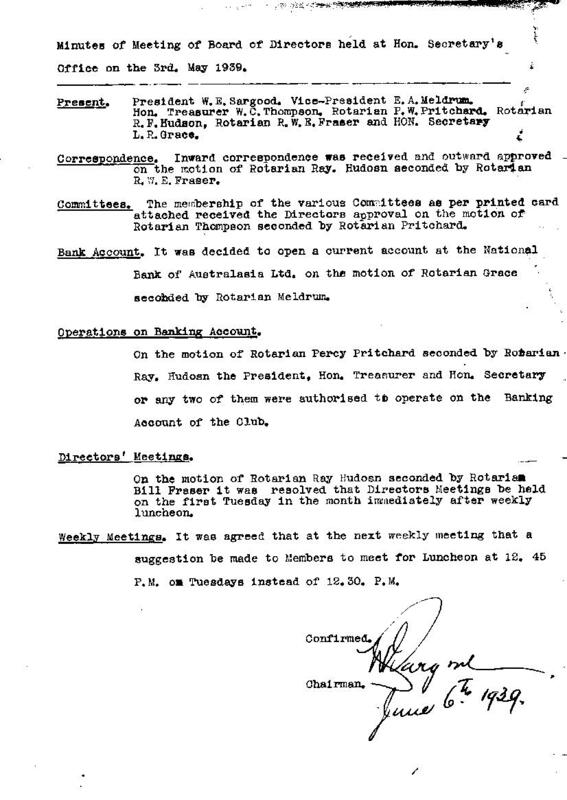 Thanks to Graeme Campbell for collating all of this. 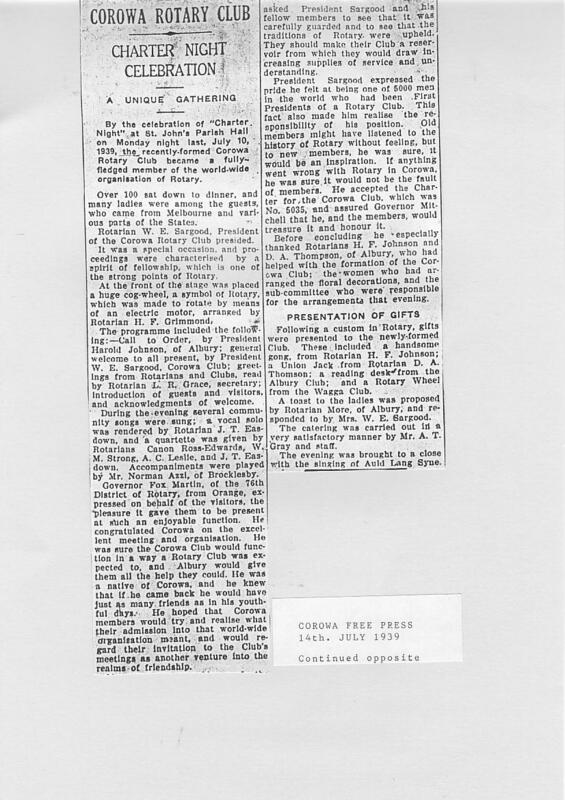 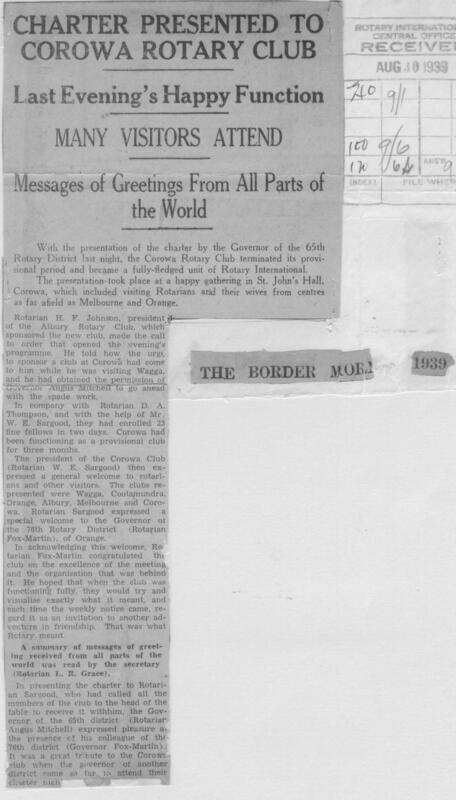 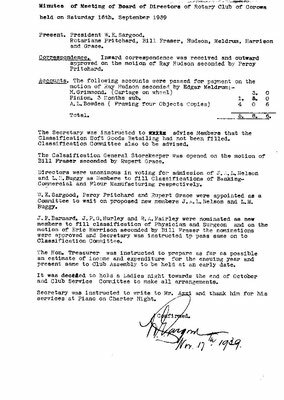 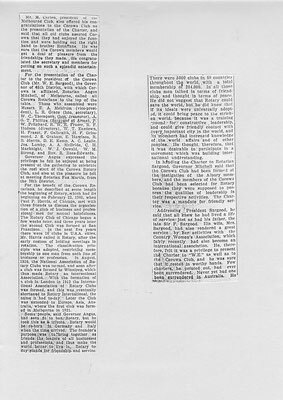 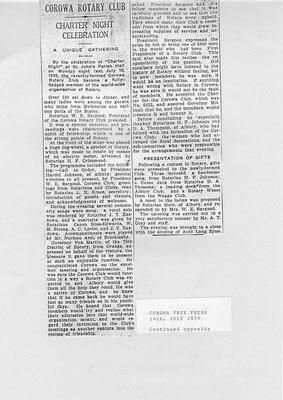 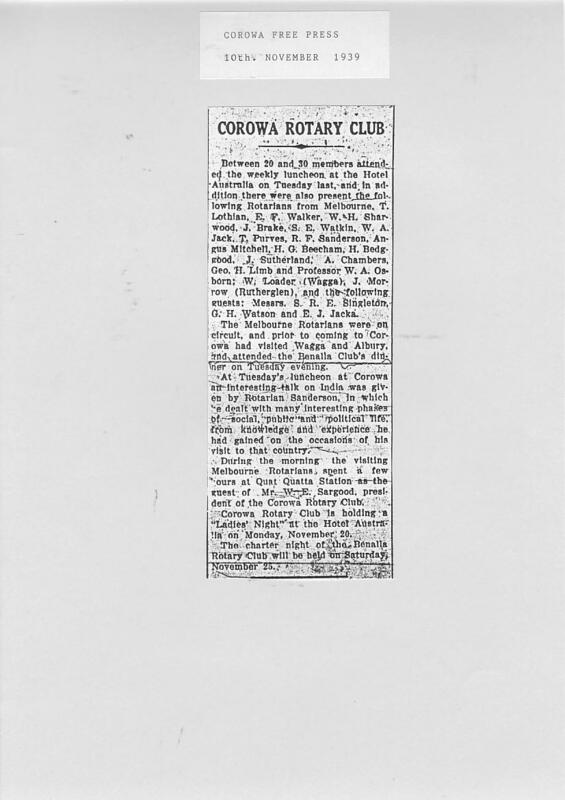 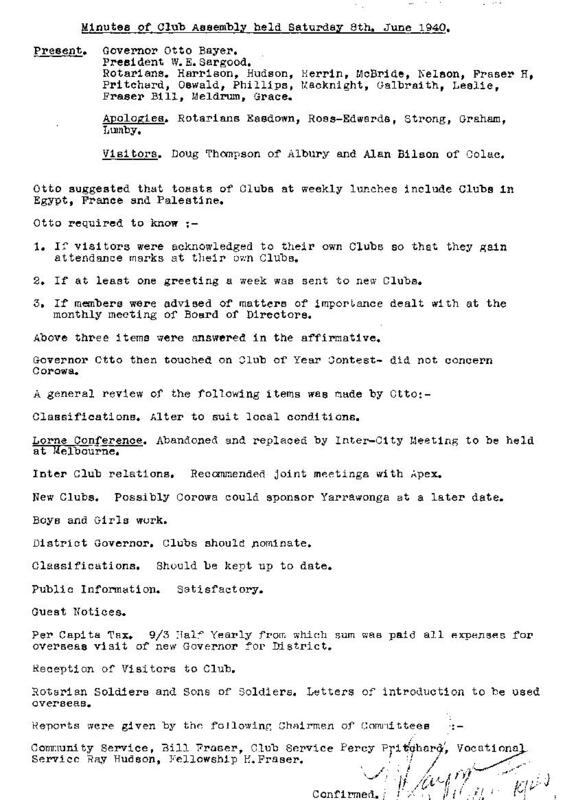 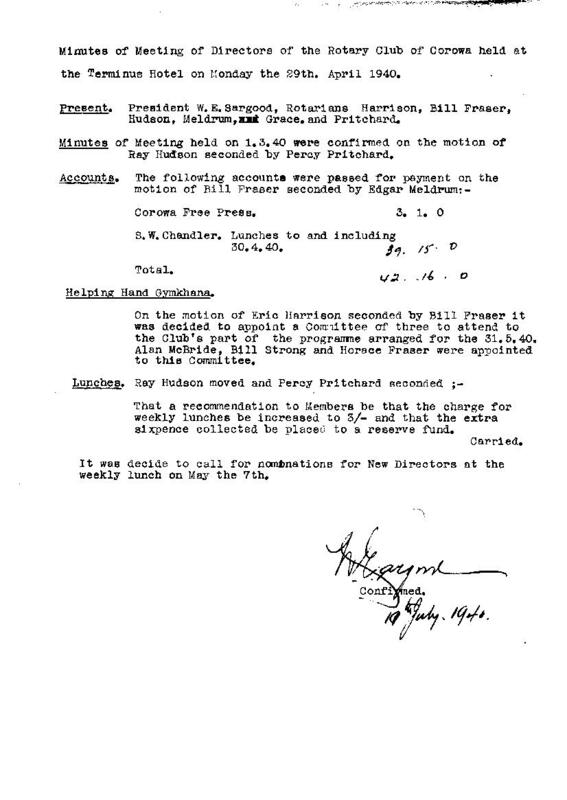 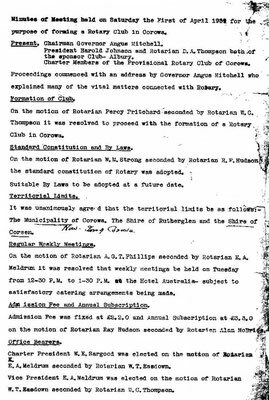 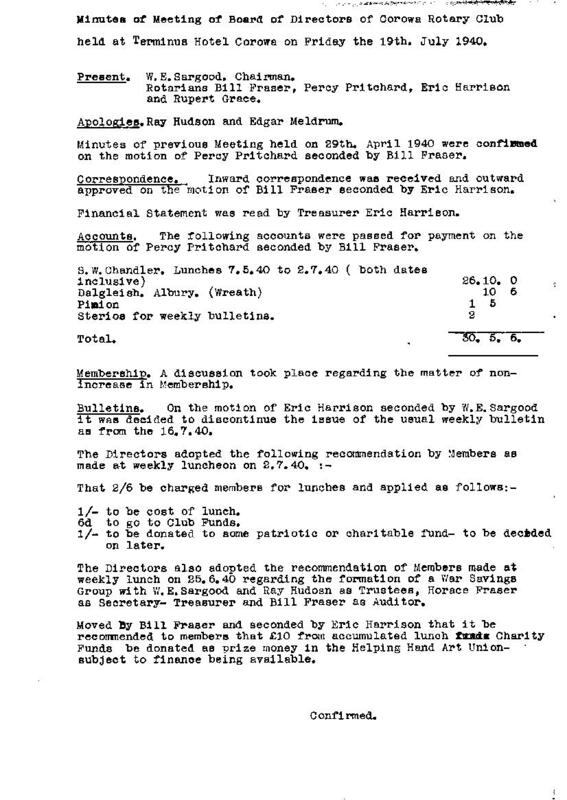 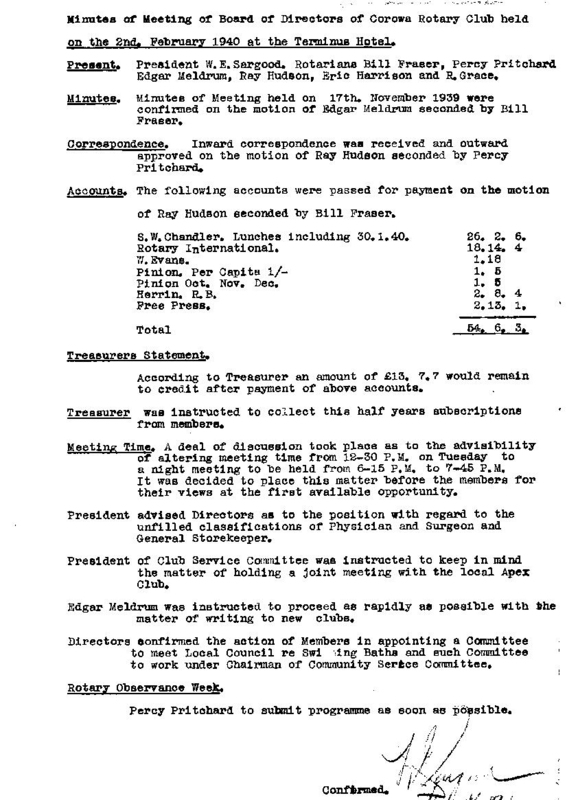 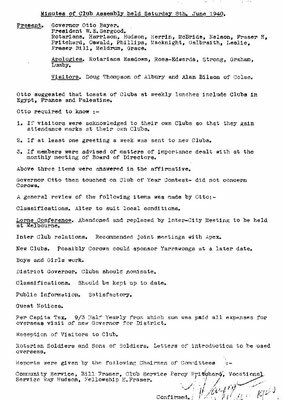 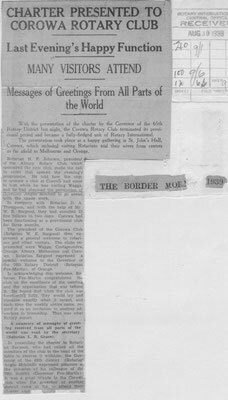 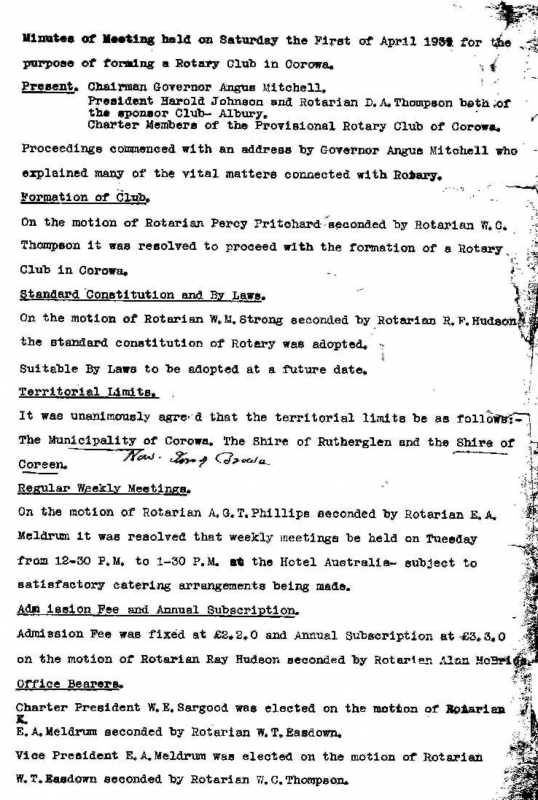 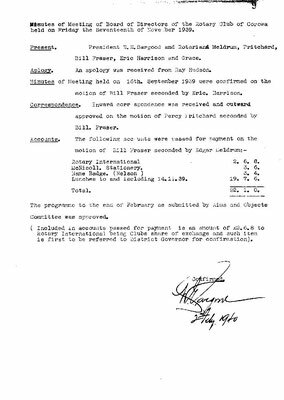 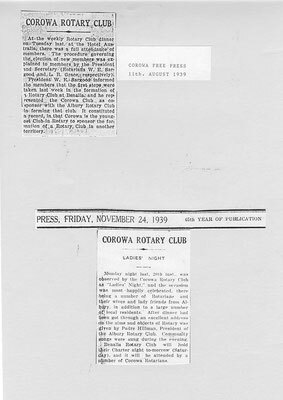 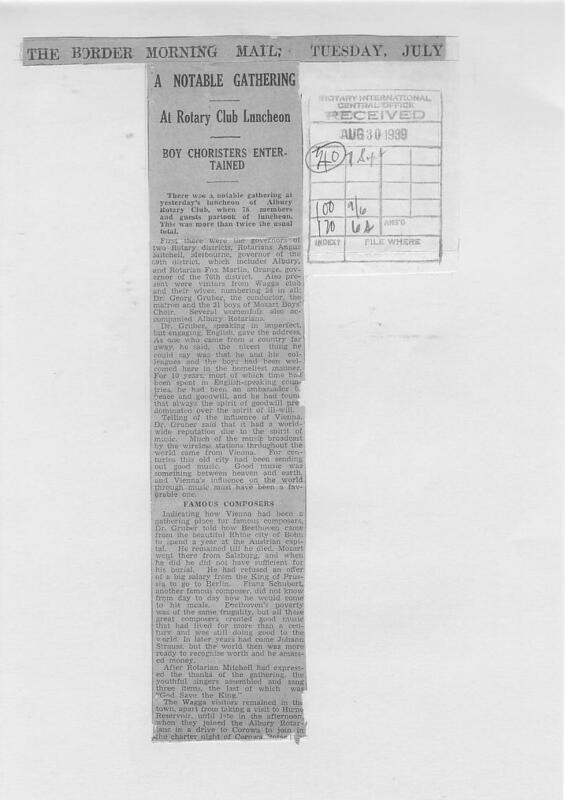 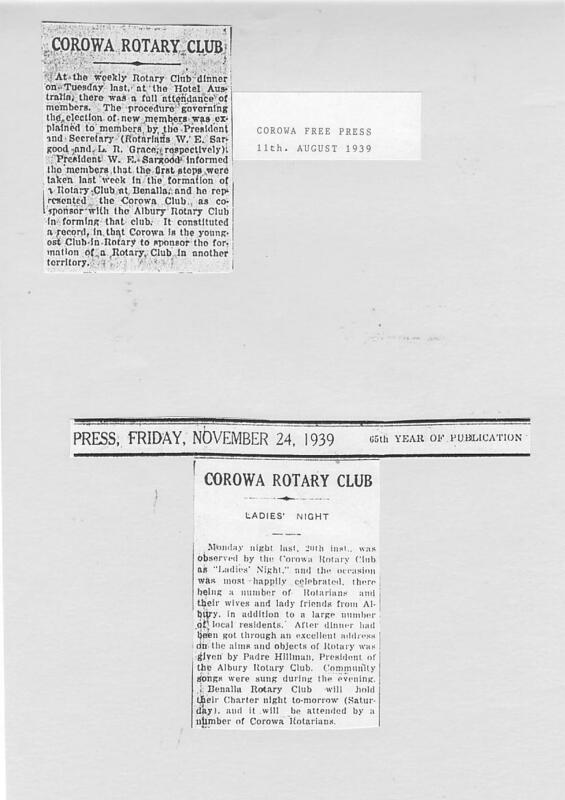 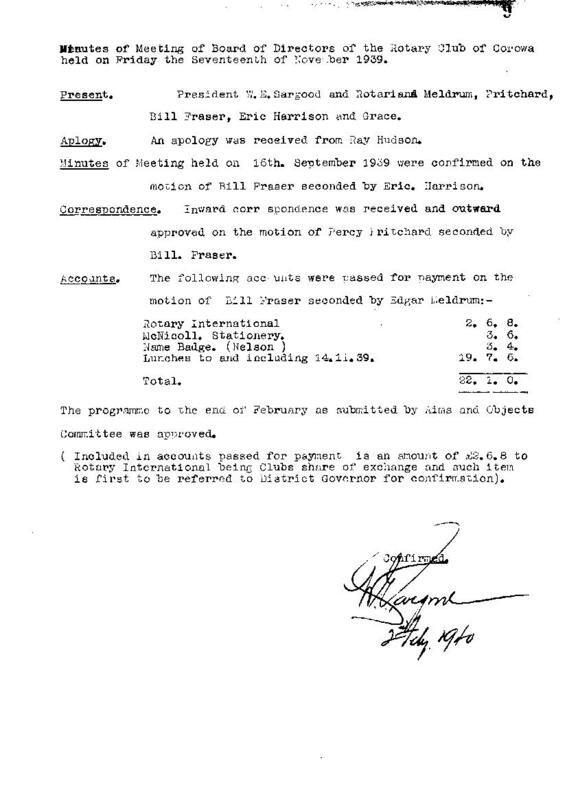 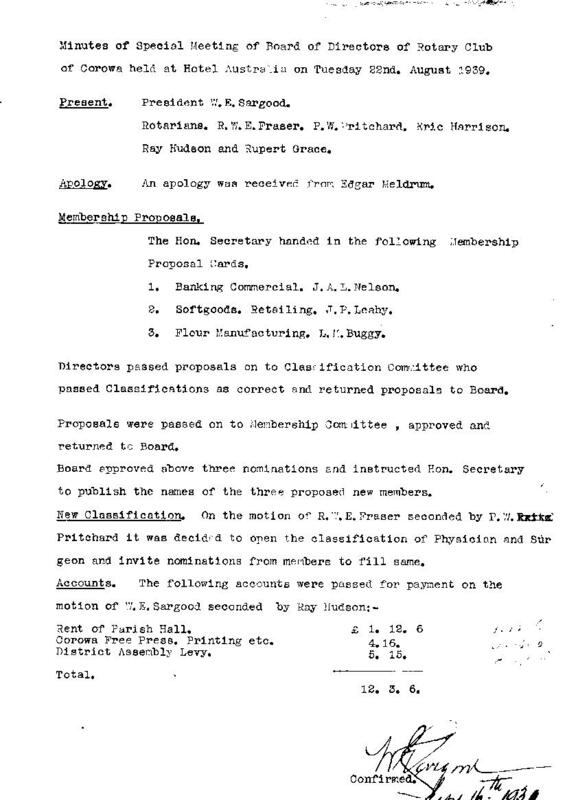 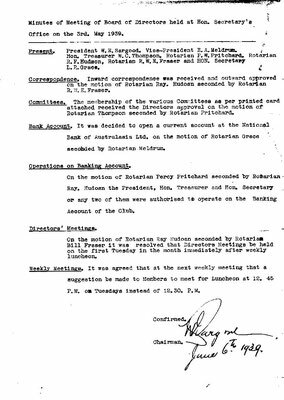 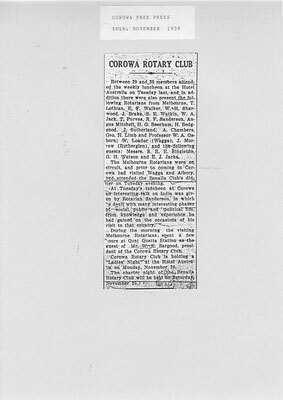 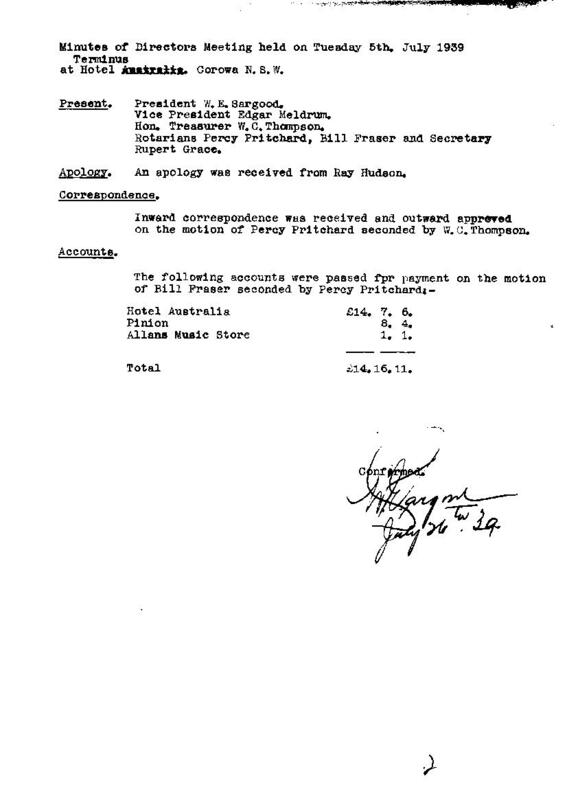 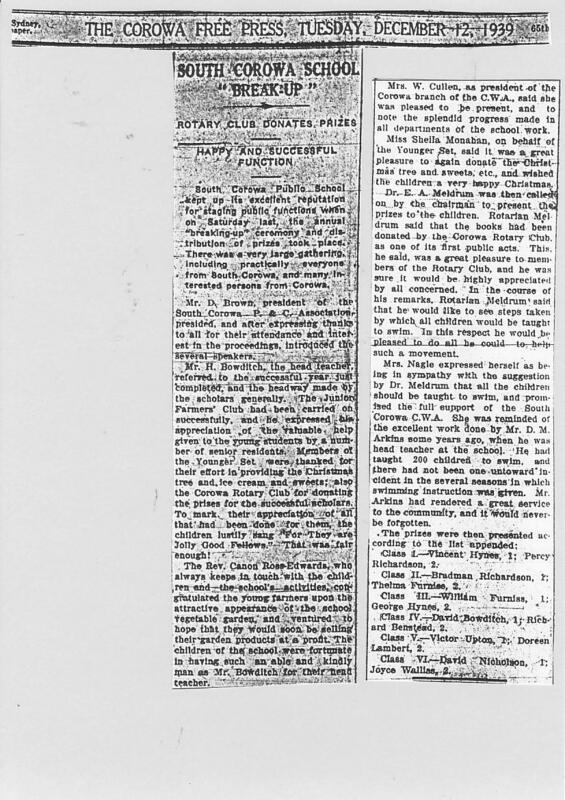 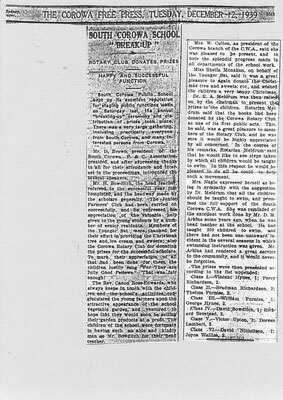 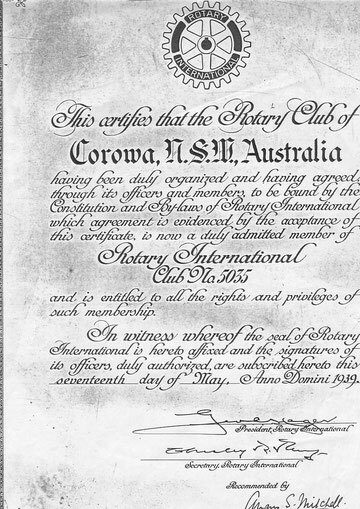 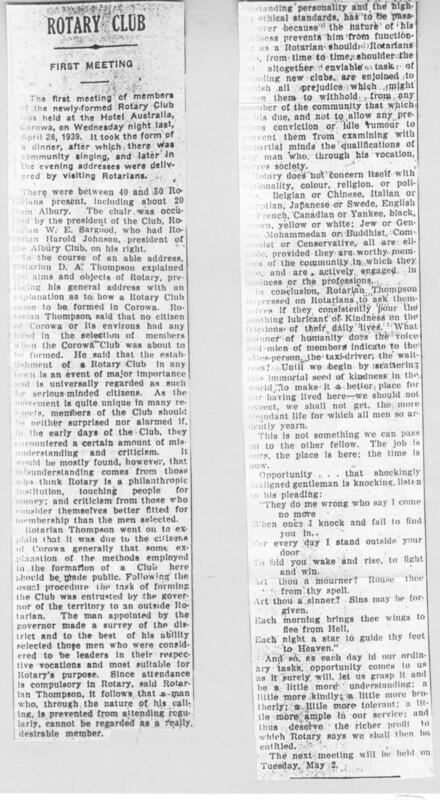 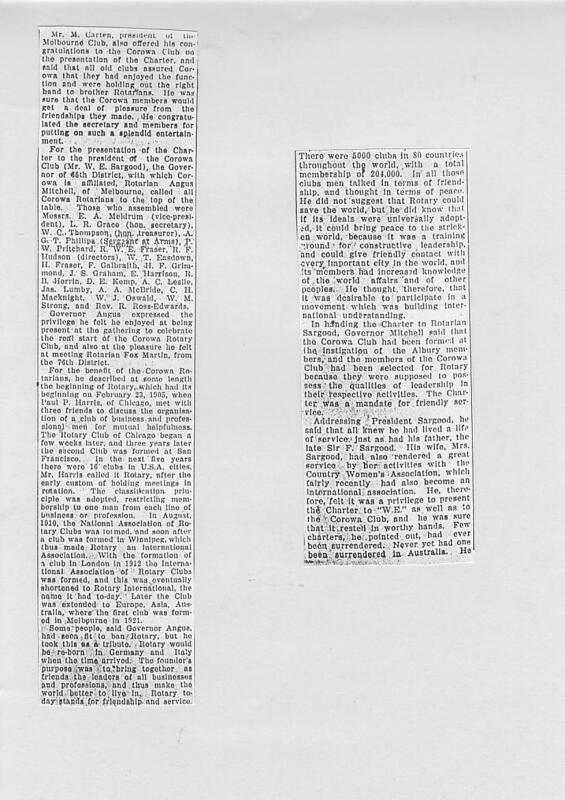 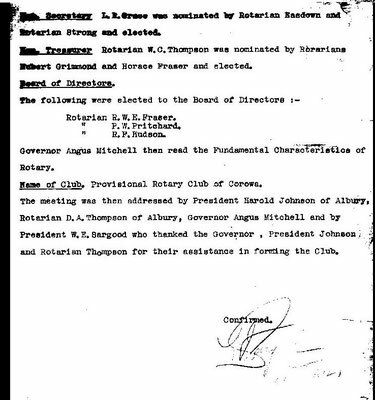 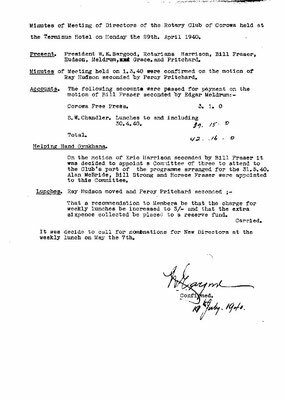 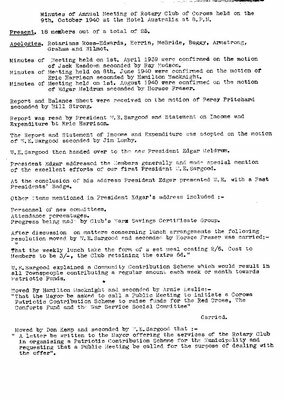 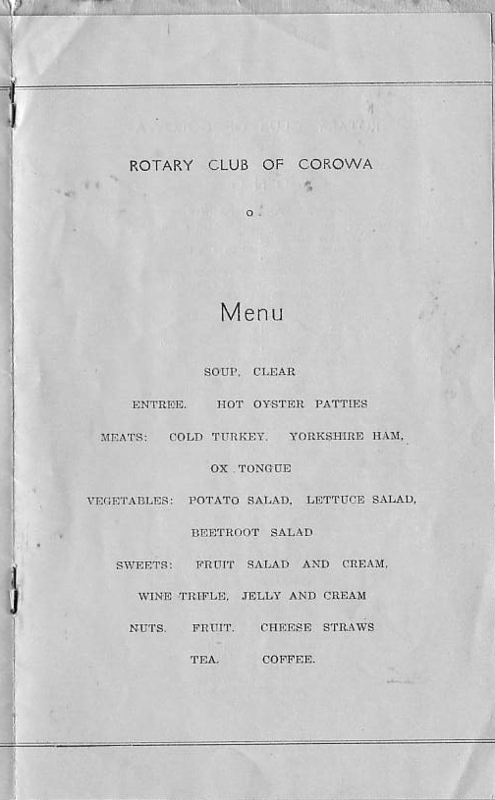 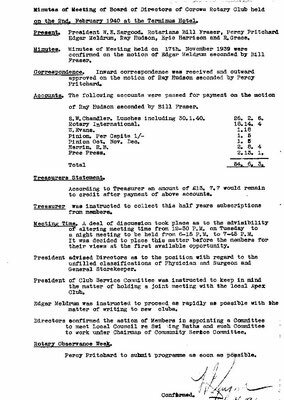 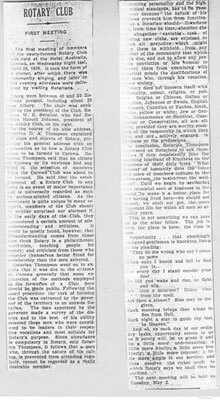 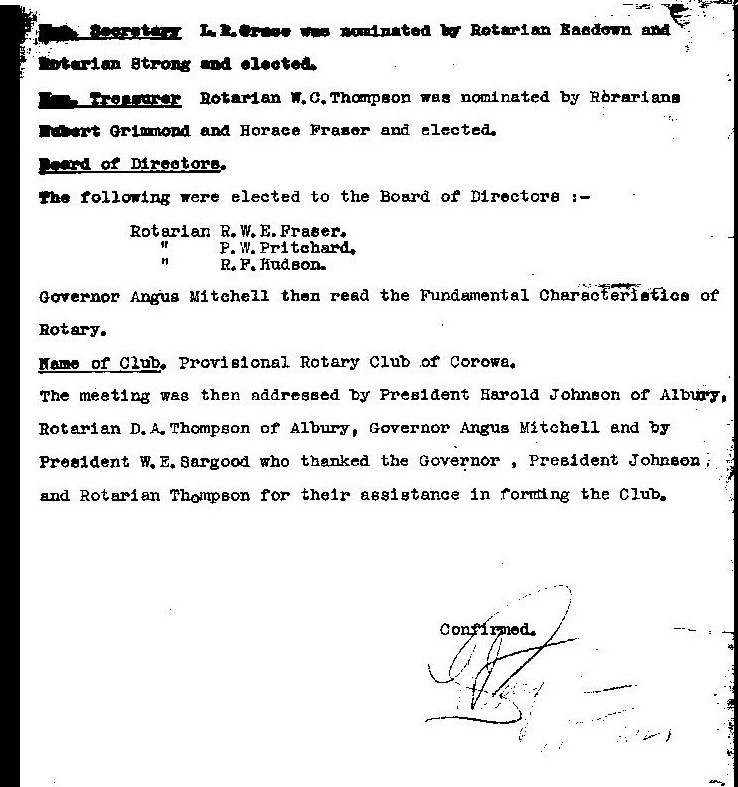 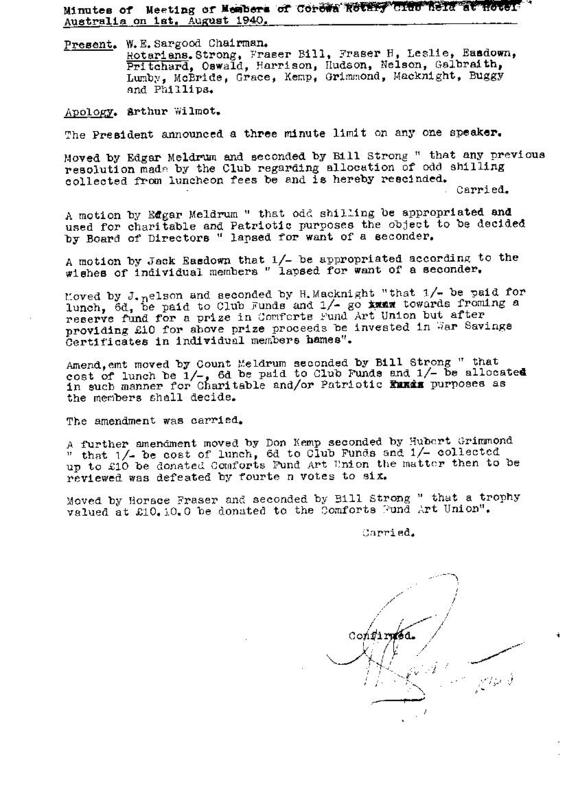 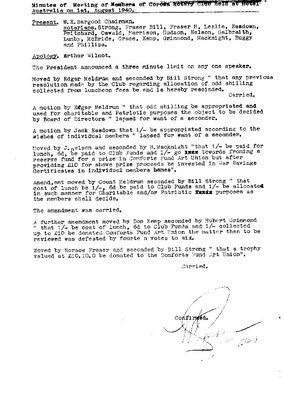 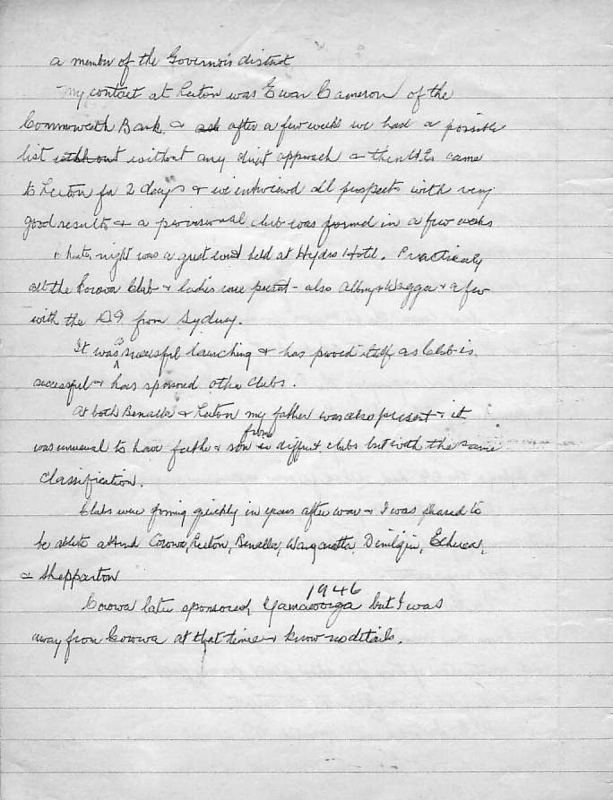 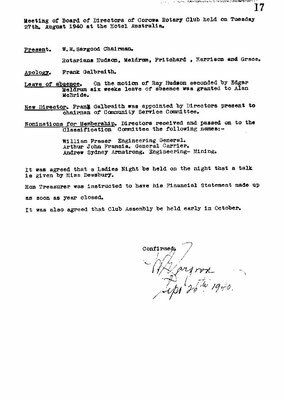 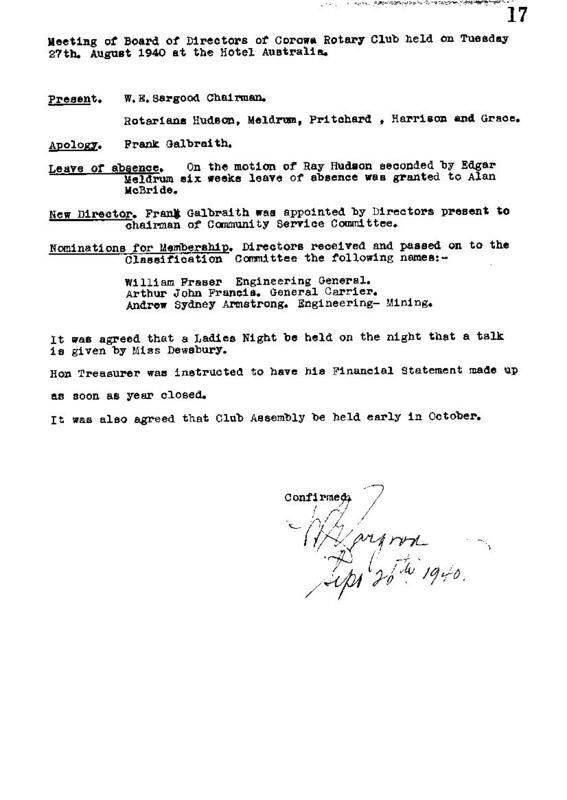 Below are the minutes, in chronological order, leading up to the Club being Chartered and up to the AGM of 1940.
ow are the press releases that appeared in the Corowa Free Press and Border Mail in the first year of the club. 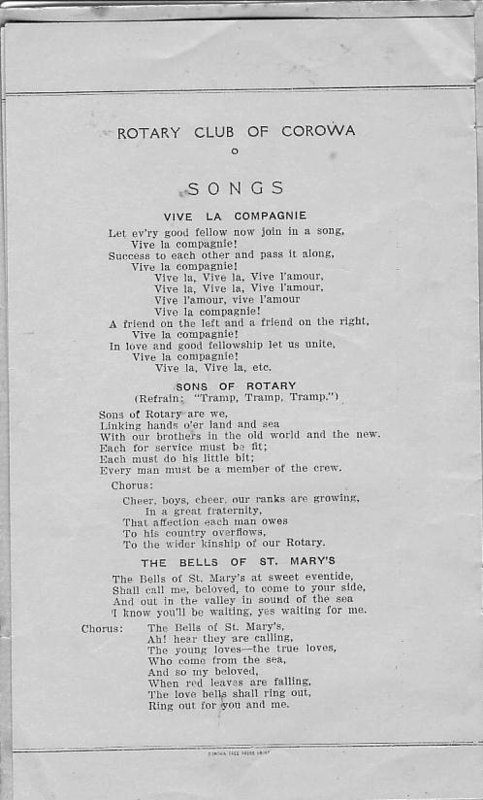 They appear in basic chronological order.